With schedules as busy as they are for parents and kids alike, do you ever wonder how you’ll ever have time to clean your house? Luckily we have a great solution for you. 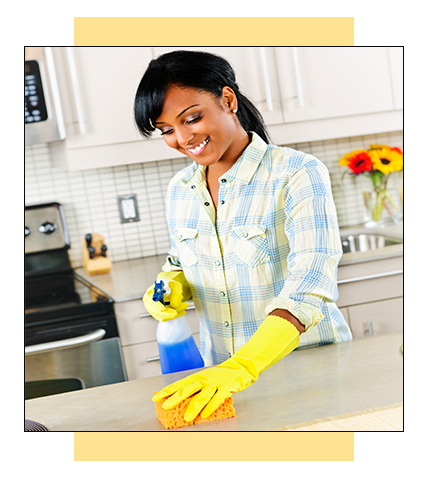 Our housekeeping staff can come to your home on a regular basis, or just on occasion when you need it. Are relatives coming to visit or are guests coming over for a party and you want to impress them with a spotless, tidy home? We’re here for you. While our staff can handle all general housecleaning duties like vacuuming, mopping, dusting, and washing windows, our professionals can also assist with picking up clutter, organizing cabinets and closets, cleaning patio and deck areas, and more. Need help running errands or preparing meals? We can do that too. How about pet sitting? We have you covered. If there’s a job in your home that needs to be done, don’t stress about not having the time to do it – give us a call and we’ll take care of it.